This is an amazing meal to serve if you are going to have guests or for a date night! 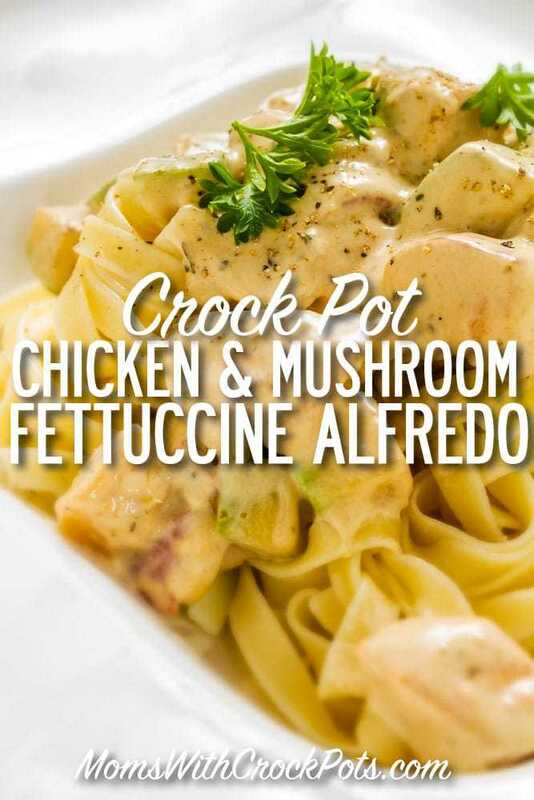 This Chicken & Mushroom Fettuccine Alfredo is sure to impress any crowd! Spray inside of 5-quart slow cooker with nonstick cooking spray. Arrange chicken in single layer in bottom of your slow cooker. Top with mushrooms. Sprinkle salt, black pepper and garlic powder over mushrooms. Stir together cream cheese, butter, Parmesan cheese and milk in medium saucepan over medium heat. Whisk constantly until smooth and heated through. Pour over mushrooms, pushing down any that float to surface. Cover and cook on LOW 4 to 5 hours or on HIGH 2 to 2 1⁄2 hours.